Get relief from body and muscle aches brought about by bad posture and other factors. Get a free consultation from a US educated and certified chiropractor. The consultation/evaluation is worth P2,500 but he is giving it for free. This is only available till June 30. 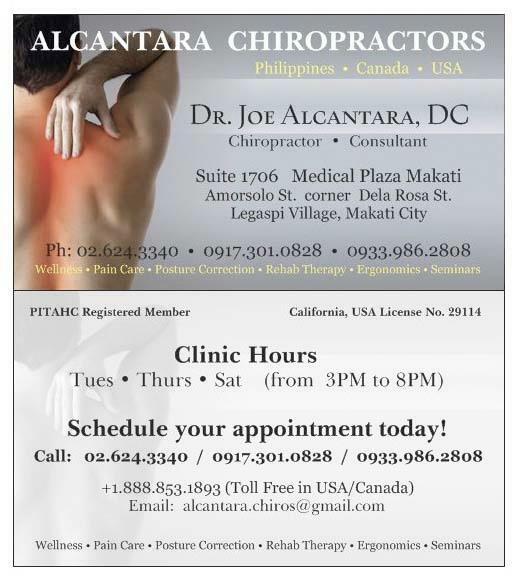 For more information, visit the Alcantara Chiropractic Philippines Facebook fan page. All Good Things Come To Those Who Hustle!